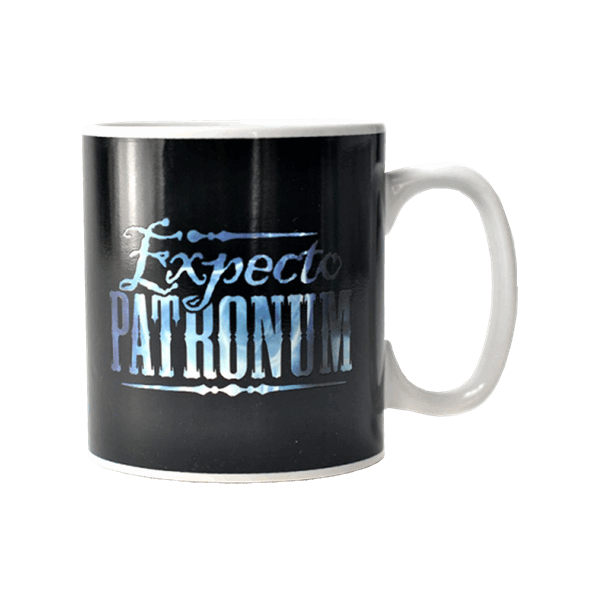 The Patronus Charm is the most famous yet most difficult to cast spells known throughout Harry Potter, but fear not, with this Patronus Heat Changing Mug even muggles can cast the charm and light up the sky with grace and beauty… whilst enjoying a cuppa of course! This heat changing mug is large in its size, allowing for even the most quench-thirsty to be satisfied, with a large handle for easy balance. 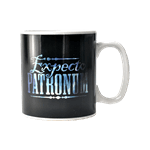 The surround of the mug is coated in a jet gloss black colour, with the front of the mug reading ‘Expecto Patronum’ in an ocean-like font. The interior of the mug is coasted in a glistening white. When hot liquid is poured into the mug, the spell is cast and magic is under way. 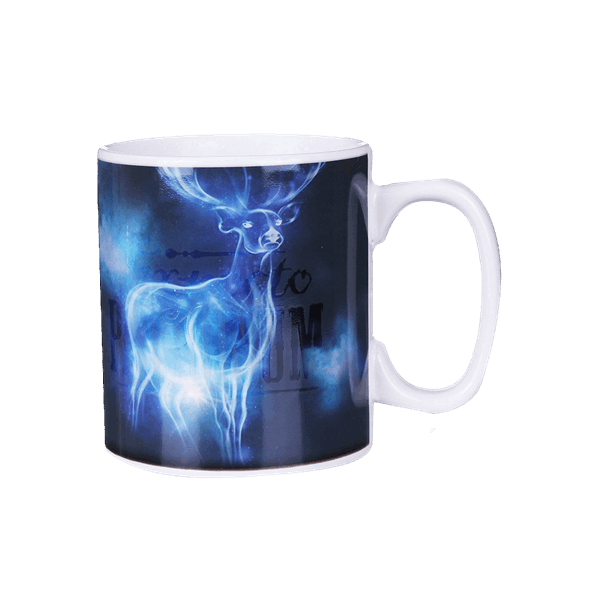 Watch as the almighty Patronum appears in stag form in glistening white on the front of the mug as the rear of the mug showcases a fleeing Dementor is cast away by the shining white light. 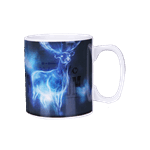 Add some Harry Potter magic to your home with this mystical Patronus Heat Changing Mug, the ideal gift for any fan of the films or books including teenagers and young adults at birthdays and Christmas’ to enjoy their favourite hot beverage in the most magical of ways!